HEDGE GARLIC seeds (alliaria petiolata) from Wildflowers UK. 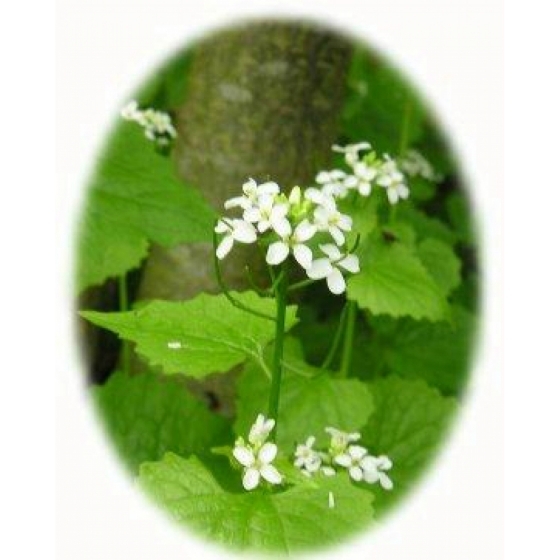 Hedge Garlic -alliaria petiolata– is most commonly found growing along hedgerows in spring and prefers semi-shade or shaded spots on damp, fertile soils. Plants host a wide range of insect life such as Bees, Butterflies and Ladybirds. In the wild, Hedge Garlic is also an important food plant for breeding butterflies such as the Green-veined white, Small white and Orange tip all of which, will lay their eggs on the plant. 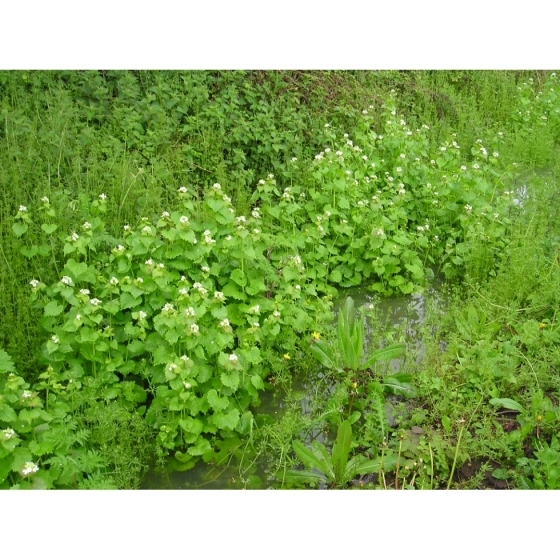 Hedge Garlic typically grows to about 2 or 3 feet in height and has small white flowers that appear from April to June. Plants look best growing alongside other spring wildflowers such as Red campion, Cow Parsley, and Bluebells. 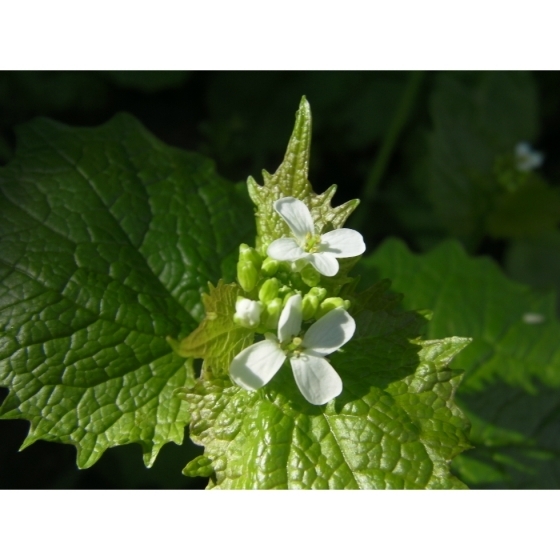 Alternative names for Hedge Garlic are Garlic Mustard and Jack-by-the-hedge. Hedge Garlic seed are best sown in autumn, outside, where they are to flower, and covered lightly with soil. Once established plants will often set seed very readily and disturbing the soil in autumn can encourage this. 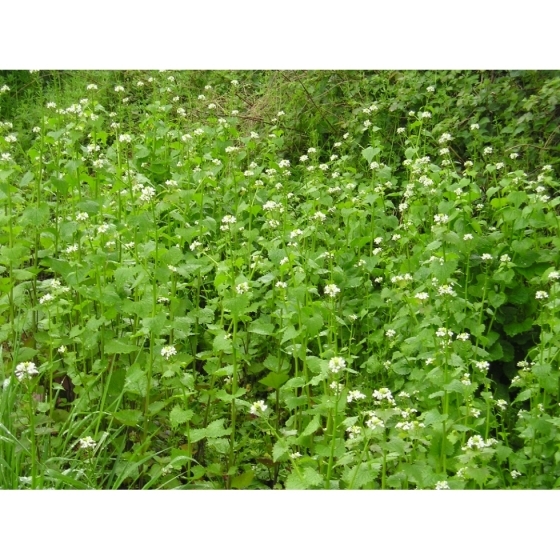 To purchase Hedge Garlic seeds, please select a quantity above and click add to cart. To ensure the best chance of success, we sell all of our wildflower seeds by weight, which ensures each wildflower seed packet contains a good quantity of seeds. The recommended sowing rate is 1 gram per square metre, and the number of Hedge Garlic seeds per gram is approx. 450. All of our Wildflower seed packets contain seeds of Native British provenance.